Constructed by Sir Thomas Molyneaux as his Dublin residence, and a stylistic departure from the gabled Dutch Billies that had defined the city to date. 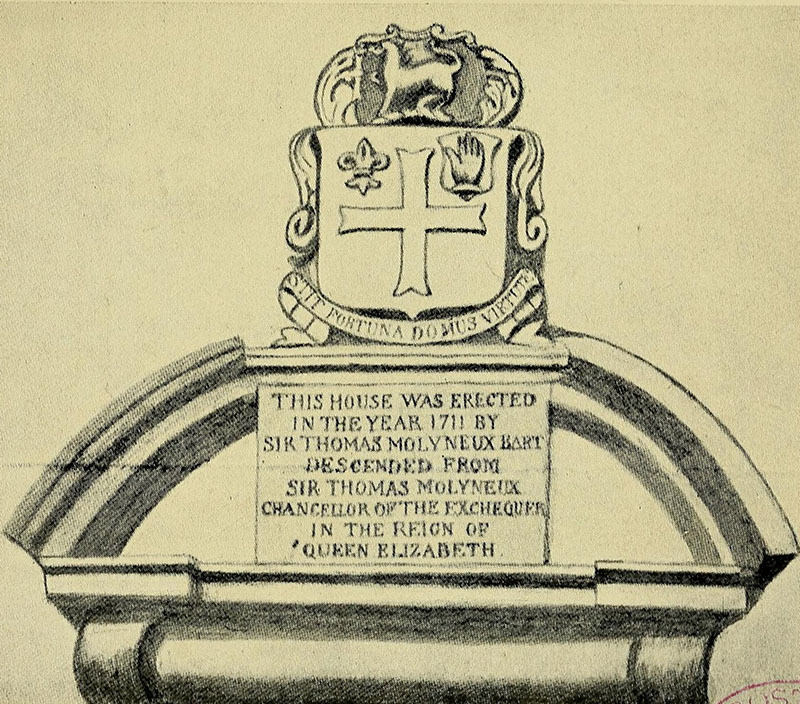 The house had an elaborate doorway with a coat-of-arns and a carved stone with text. The interior had a fine panelled hallway and staircase. 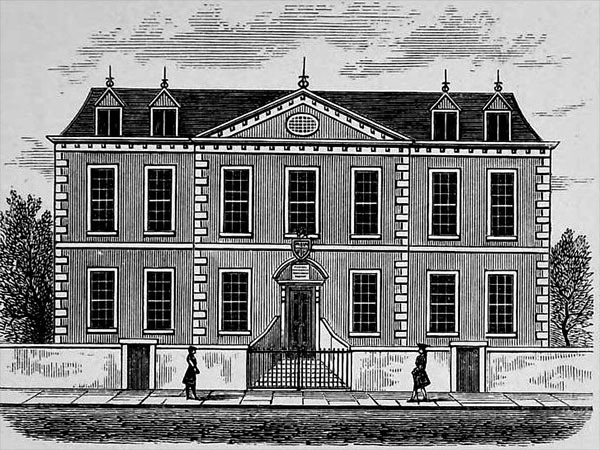 From 1815, onwards, served as an asylum for blind women – before the construction of the Molyneux Asylum, off Leeson Street, before eventually becoming home to the Salvation Army. Demolished in 1943.